Commodities as an asset class have always inspired vigorous discussion, from academics who question the risk premia to investors who are wary of the relatively short cycles. But the current environment is looking very good, at least on the cyclical front. Two of Australia’s most experienced commodities specialists, brothers Andrew and Mathew Kaleel, believe that the new upward cycle for commodities started early last year, through a better balance between supply and demand, and is now set to benefit from an environment of supply discipline and the potential for rising inflation in many markets. They like to point out as well, that commodities investing, which goes beyond the analyses for returns from spot prices, has outperformed the MSCI World Index over the very long term – between 1970 and 2016, according to research by Goldman Sachs and Bloomberg. That is on either a hedged or unhedged basis. In addition to the movement in spot commodity prices there are two additional sources of returns for commodities futures investors. They are ‘roll yield’, which is the benefit or cost of rolling over a commodities futures contract, and collateral, which reflects the cash rate on cash balances that are not used for received for trading margins. In recent years the roll yield has been negative and collateral returns low, but these too appear to be on the way up. The Kaleels’ history in the sector started with the formation of the boutique manager H3 Global Advisors in 1994, launched by Andrew. Mathew joined him at the firm a year later. 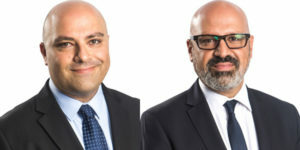 They both joined Henderson Global Investors in 2013 after the expansive manager – in the process of merging with Janus Capital globally – acquired their business in Australia. They say that the question of whether there is a risk premia in global commodities futures often comes up in discussion. Andrew says that a lot of the academic studies don’t look at the total return from investing in commodities through the futures market, which is why they sometimes come to the conclusion there is no risk premia. The significance of this, if the academics are right, is that it would be more difficult for the asset class to make money in the long run because returns would depend entirely on manager skill to add value, as with a lot of alternatives fund managers. He says the Chinese market, which is the biggest single influencer on fundamental demand for physical commodities, tends to move for different reasons than other markets, although there is a correlation. “In the last year or two China has been doing a phenomenal job in managing the slowdown in growth as well as cleaning up its industries from an environmental perspective,” he says. The Henderson ‘global commodities enhanced index strategy’, which they run, is long-only and not a relatively active trader. It tends to take relative positions between commodities to manage risk. For instance, there has been an oversupply of wheat globally since about 2012. The strategy, therefore, has longer duration contracts to manage the forward curve. The strategy does not invest in certain things, such as coal, because of its long-term outlook due to the switch to cleaner energy. It also doesn’t invest in iron ore or lithium, which has been very popular of late because of the growing importance of batteries, because there is no futures contract for that particular commodity. It invests in all the major energy markets, precious metals, industrial metals and the agricultural markets. Andrew says that global commodities futures strategies used to be employed by investors primarily for tactical reasons, but over the last five-or-so years they have been used also as a diversifier and hedge against unexpected inflation. With rising interest rates in the US, that is likely to continue. The strategies are used either as a standalone investment or as part of a real asset exposure. Commodities will likely benefit from the trend to more significant exposures to alternatives generally,” he says. “Stocks and bonds have had a positive run of 35 years or so. That’s not likely to continue,” his brother adds.